Sometimes couples surprise me with how adventurous they are! Madie and Thomas were down to climb all over the place and tread through a creek during our session, and it was so much fun. We chased the light around as it beamed down through the gorgeous redwoods. 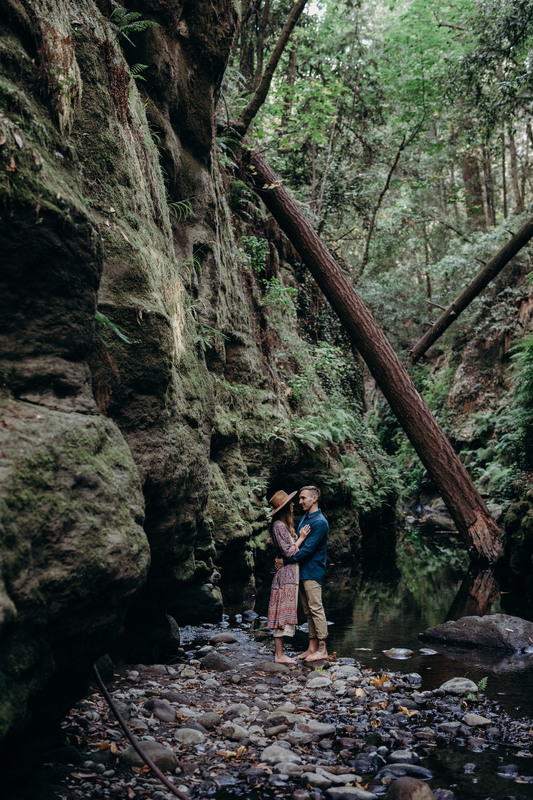 The redwood forest is probably my favorite place to photograph people because of how creative you can be with the light and the surroundings. Not to mention, the forest is just my favorite place to be in general because of how peaceful and relaxing it is. 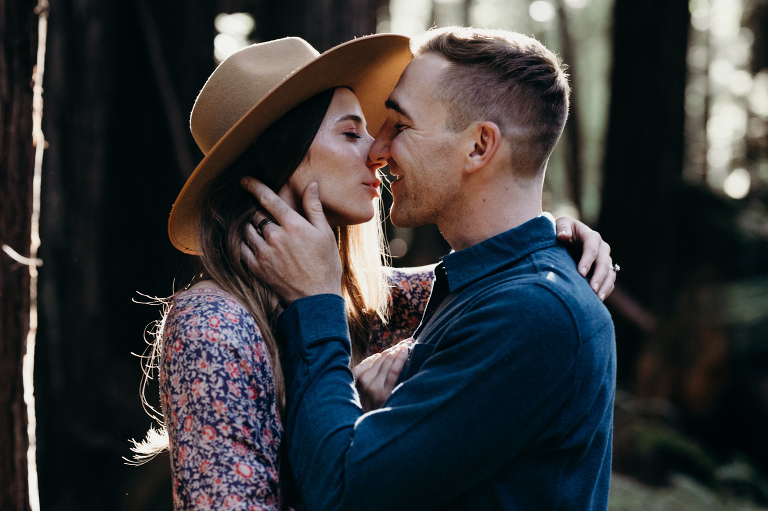 Being in a cool, shady forest is the perfect way to get a couple to relax in front of the camera. I love that I get to share my favorite places with couples during sessions. It is especially fun if they have never been there before! After the forest we headed up to Panther Beach to end our session. This post is just a sneak peek – so I’ll be adding more images soon! 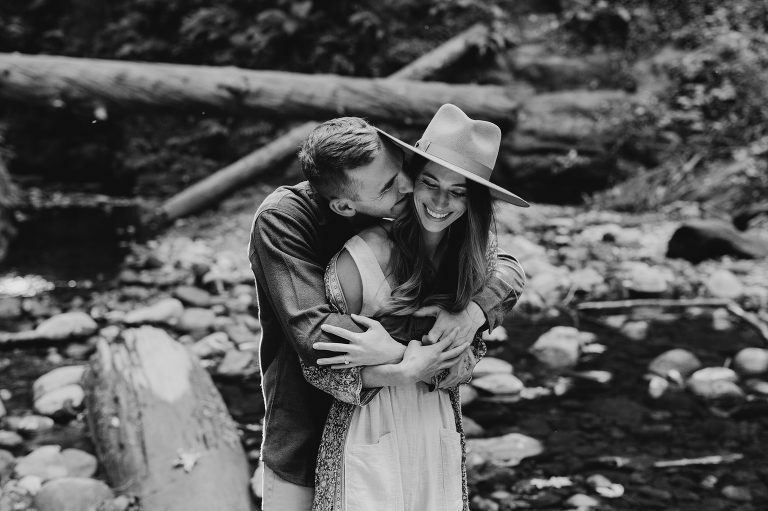 Like this forest session? 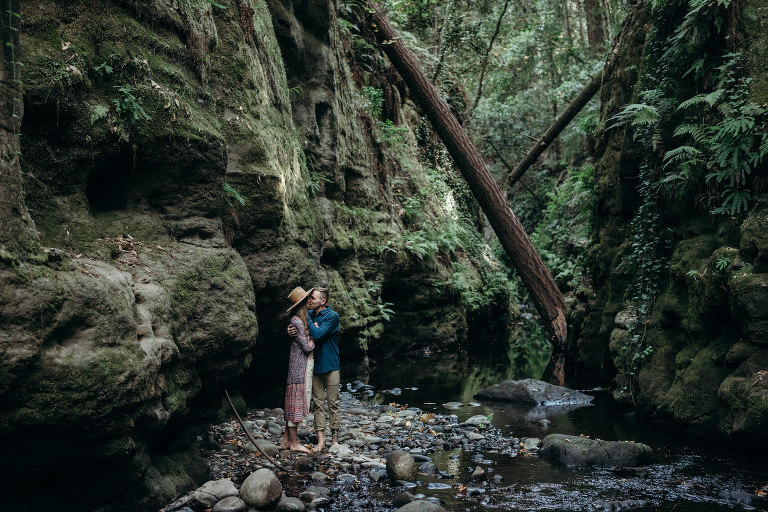 Check out this Big Sur intimate forest wedding.